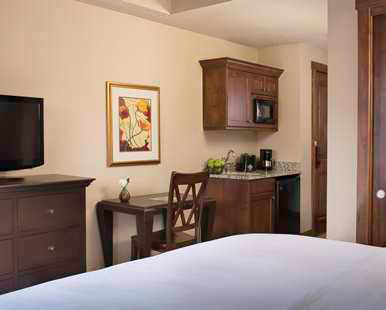 With 348 square feet, our Studio Room offers us a king-sized bed and a flat-screen TV. 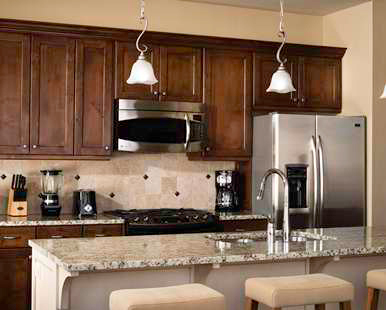 Our fully equipped kitchenette has a small refrigerator, microwave, coffeemaker, toaster, dishes and utensils. With a bathroom that has a shower/bathtub combo, our room is a wonderful place to unwind after a long day exploring the beautiful Park City, Utah! Located on the upper floors featuring vaulted ceilings, our Premier Studio Room offers us 348 square feet of space with one king bed, flat screen TV, open balcony, and a fully-equipped kitchenette. The kitchenette includes a small refrigerator, microwave, coffeemaker, toaster, dishes and utensils. The bathroom has a shower/bathtub combo that helps make this living area the ultimate place for us to stay in during our visit to Park City. 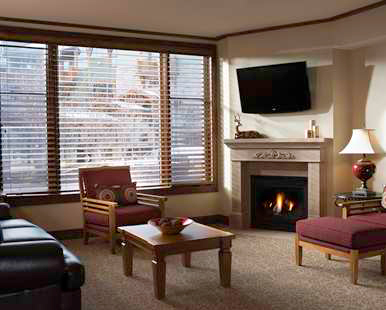 Our spacious One-Bedroom Suite with 880 square feet featuring a gas fireplace is a must for our honeymoon. Featuring a full kitchen, living area with a flat-screen TV, dining area and open balcony, our suite is spacious and provides us with the best amenities available. Two bathrooms with a master bath that includes a large soaking tub and separate shower complete this masterfully designed living space. Our expansive 880 square feet Premier One Bedroom Suite is located on the upper floor with vaulted ceilings. Complete with one king-sized bed and a sofa, our suite features a full kitchen, living area with a flat-screen TV, dining area, gas fireplace, open balcony, and two bathrooms. The master bath has a large soaking tub and separate shower, while the second bathroom has a shower only. This suite is the perfect place for us to relax and unwind on our honeymoon! 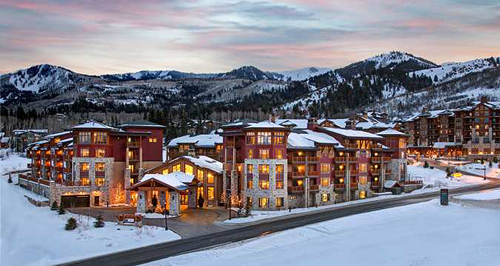 With your generous gift, we will experience the honeymoon of a lifetime at the Sunrise Lodge, A Hilton Grand Vacations Club, in the beautiful Park City, Utah. 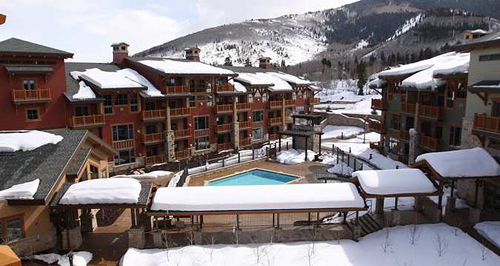 Nestled in the charming mountainside village of the Canyons Resort, the resort offers us a year-round destination for skiing, hiking, exploring, and relaxation. Complete with a complimentary shuttle service within the Park City resort area, we'll never be far from shopping, restaurants and entertainment. From exciting activities and spacious accommodations, our honeymoon at the Sunrise Lodge is bound to be everything we have ever dreamt of and more! Situated in the picturesque village of Canyons Resort, Hilton Grand Vacations Club at Sunrise Lodge offers us a scenic retreat with breathtaking views of the surrounding Wasatch Mountain range. Here, we will enjoy year-round outdoor pursuits from skiing at Canyons Resort in the winter to hiking and mountain biking in the summer. 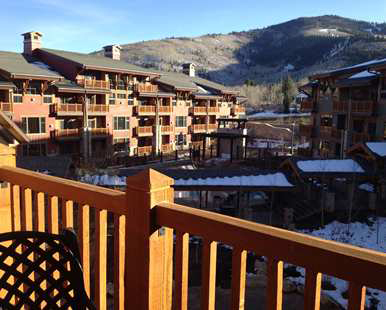 Park City Mountain Resort and Deer Valley Resort are also within minutes of our resort hotel in Park City. During the day, we will enjoy all the comforts of home in a welcoming studio or suite. Whether we prepare a favorite meal in our room, cozy up in front of the fireplace, or simply relax on the balcony, our room promises to be perfection. We will reinvigorate with a workout in the complimentary fitness center or take the complimentary shuttle to historic Park City for a meal in one of the nearby restaurants. 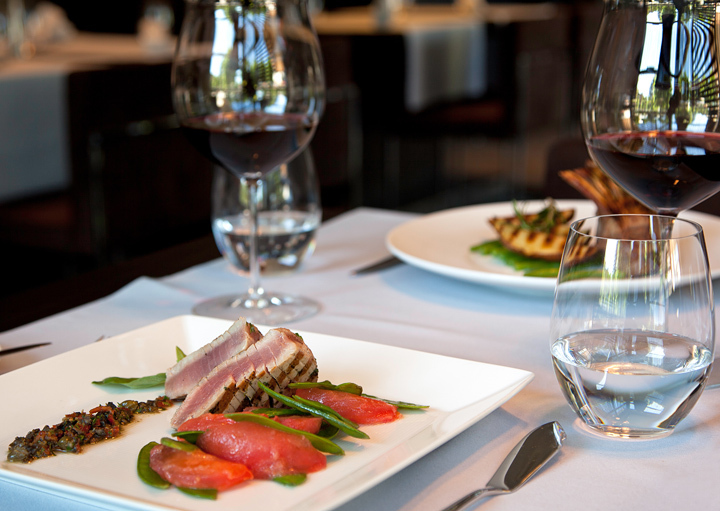 Your thoughtful contribution allows us to experience the very best in Park City living on our honeymoon! A bottle of sparkling cider will be delivered to our suite. We will make a toast to our romantic honeymoon while taking in the sweeping views of Park City and the surrounding Wasatch Mountains. How romantic!